Hi. 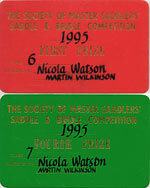 I’m Nicola Watson, a Master Saddler in Sussex. I work mainly in equestrian leathergoods: saddles, including side saddle repair and refurbishment, harness and bridlework. 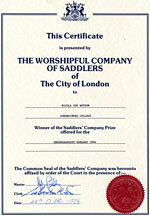 I’ve been a qualified saddler for many years and am currently being supported by the Queen Elizabeth Scholarship Trust to further develop my specialist side saddle skills. I also make dog collars and leads, and some very fine belts, satchels, cases and bags for humans. Using the skills that I’ve learnt over the years, and traditional tools on the finest English leather I produce extremely fine, durable and beautiful leather goods, as simple in their beauty as their use. 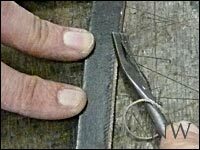 As a small example of this hands on, traditional craftsmanship, here are some of the simple steps in preparing a strap. 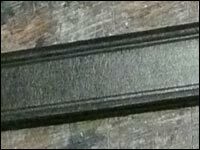 First the edges are rounded with an edge beveller. 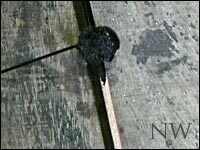 Then the cut edges are stained and polished for durability and look. The strap is then creased. This is decorative but also makes the leather more hard wearing, and provides an extra grip. 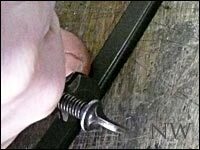 Giving a beautifully prepared strap ready to be given buckles, stamped and finished. This established way of working gives a finish that is one of the hallmarks of best quality leatherwork. Horse tack, equestrian tack, used saddles, horse rugs, dressage saddles, saddle tack, used tack, tack supplies, used horse tack, dressage tack, horse girth, horse stirrups, horse boots, horse saddles, dressage saddle, used saddles, tack shop, saddler, dressage saddles, used saddle, english saddles, saddlers, show saddle, tack shops, show saddles, English saddle pads, saddle fitting, horse riding apparel. Please email if there is any help we can give about the above or anything else horsey or about quality leatherwork. I picked up my headpiece today and dropped off the other one for the same work please. Thank you so much, you have made an amazing job. Thanks for the case - well worth the wait. Very well made.